(Natural News) America is rightfully outraged over the slaughter of innocent concertgoers in Las Vegas two days ago, and the political Left immediately exploited the tragedy to call for gun control — stripping all citizens of their Second Amendment rights while monopolizing the ownership of guns in the hands of the government. This is the predictable emotional reaction from historically illiterate people who lack intellect. 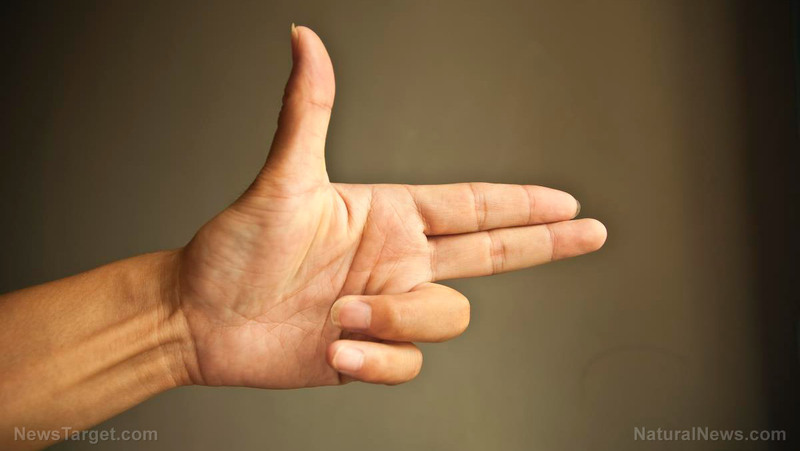 They believe that concentrating all firearms in the hands of government will somehow save lives. Yet history shows us that governments routinely commit mass murder and genocide against disarmed populations. In just the last century or so, governments have murdered 262 million disarmed people, according to university research (see the list below). Yet Democrats are hysterically focusing solely on gun control, even though mass shootings are a statistical fraction of the number of needless deaths taking place in America right now. If lawmakers really wanted to save lives, they would legalize cannabis medicine and end the opioid racket currently being run by Big Pharma and the corrupt FDA. The list goes on and on, detailing all the deaths attributable to the pharmaceutical drug industry, the cancer industry and hospital-related errors and malpractice. Of course, these deaths are unintentional deaths, but their sheer numbers dwarf the number of Americans killed each year by gun-related deaths. When you look at shooting deaths from so-called “gun violence,” the vast majority of them occur in gun-controlled cities such as Chicago, where nearly all the gun crime is black-on-black crime (another factoid the media refuses to acknowledge). The lying mainstream media refuses to cover gun deaths in Chicago because it contradicts their gun control narratives. According to the current delusional thinking of the political Left, gun control always works, so Chicago should have no shootings at all. But reality paints a very different story. As detailed on the activist website HeyJackass.com, there are so far 497 shooting deaths in Chicago this year, with another 2395 people having been shot and wounded. By comparison, the Las Vegas massacre took the lives of 59 people, with 500+ wounded. 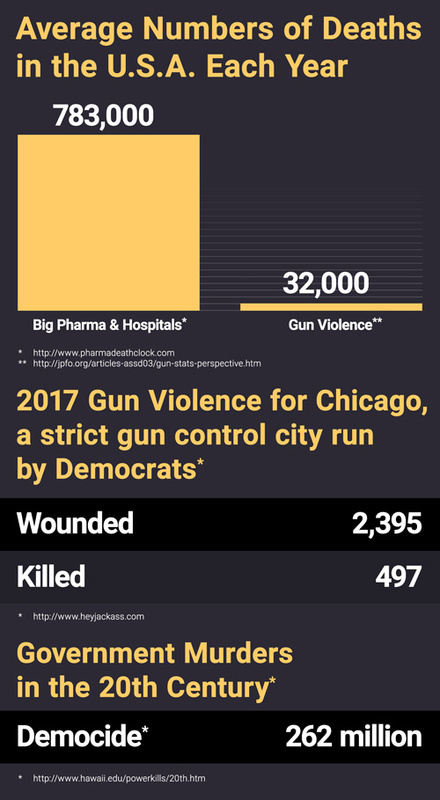 Gun violence in Chicago — a totalitarian gun control city — absolutely dwarfs the number of people killed in the Las Vegas Mandalay massacre, in other words. Yet there isn’t a peep from the fake news media about shooting deaths in Chicago. Could that be because Chicago is run by Democrats whose gun control policies are an absolute disaster? Chicago proves yet again that gun control doesn’t work. All it really does is strip away the right of self-defense from law-abiding citizens while allowing criminals — who by definition ignore gun control laws — to run roughshod across the city, committing mass murder and mayhem almost at will. So what’s the takeaway from all this? Gun control is more dangerous than guns because it monopolizes firepower in the hands of governments that routinely mass murder millions of people. Remember: Gun control doesn’t mean eliminating all guns. It really means concentrating them in the hands of corrupt governments. Modern medicine, meanwhile, is even more dangerous than all the gun violence in modern America, killing orders of magnitude more people than all the nationwide gun violence combined. So if the goal of the Democrats is to really stop needless deaths, they should focus their efforts on reining in Big Pharma and the corrupt FDA. If they want to stop even more needless deaths, they should allow citizens in cities like Chicago and Detroit to arm themselves in self-defense. And finally, if they really want to stop the No. 1 source of mass murder that’s proven again and again throughout history, they should call for the complete disarmament of government. Because no institution in history has proven itself to be more dangerous and deadly to innocent civilians than government itself. Follow more news on guns and gun rights at Guns.news and SecondAmendment.news. Next : Five MORE things that don’t add up about the Las Vegas massacre… Where is all the expended brass?